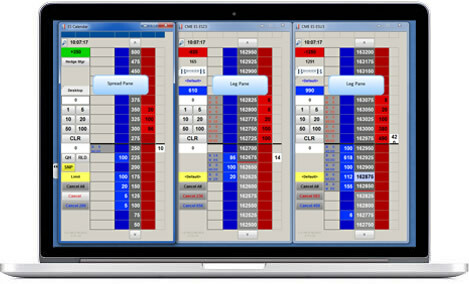 A popular product among our professional and institutional traders, TT’s X_Trader® is a sophisticated platform that satisfies the “need for speed” from our most demanding electronic clients. Customizable spreads including calendar spreads and intercommodity spreads. Market maker functionality enabling users to make a two-sided market in any tradable instrument. Interfaces with Excel spreadsheets and other analytics. Supports new order types, including stop markets and stop limits with trigger quantities, timed orders, Market on Open, Market if Touched, Limit if Touched, and Iceberg orders.